Prince Harry and Meghan, Duchess of Sussex, are spearheading a charm offensive by the British royal family in Australia -- and the country can't get enough of them. 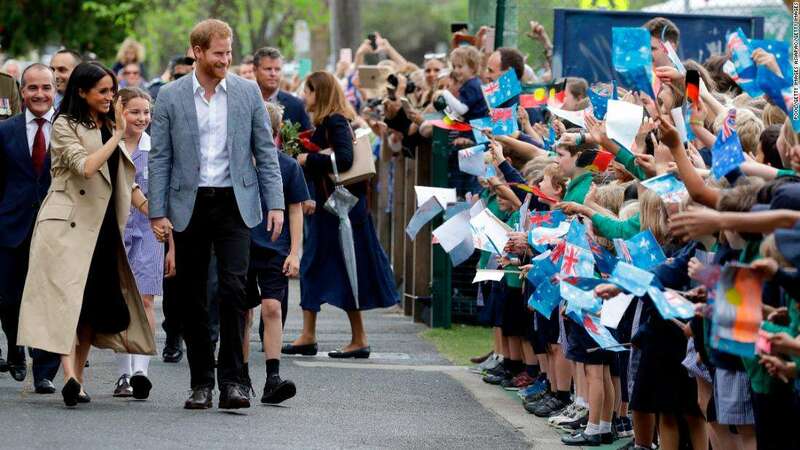 Thousands flocked to meet the newly marriedDuke and Duchess of Sussex when they touched down in Sydney on October 16 for a two-week tour. Cementing Australia's special place in the Commonwealth, the couple announced they were expecting their first child, who will be seventh in line to the throne, just as the trip began. In Sydney, a 98-year-old woman waited in a rope line to meet Harry for the third time. When the prince greeted her like an old friend, she said Meghan was "just what Harry needs." 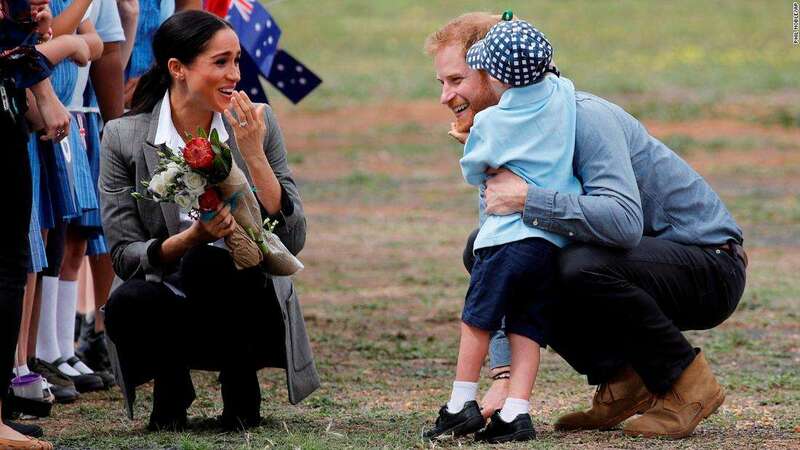 Britain's Prince Harry and Meghan, Duchess of Sussex are embraced by Luke Vincent, 5, on their arrival in Dubbo, Australia. During a visit to the city of Dubbo inthedrought-stricken state of New South Wales, groups of school children held signs saying "Dubbo (loves) Harry & Meghan." In a made-for-camera moment, a five-year-old boy broke ranks to run forward and hug Harry. But the monarchy could be fighting an uphill battle to win the hearts and minds of the Australian people. The latest polls showincreasing support for an Australian republic and the push is on again to make a final break from the UK. "The current institution is one which privileges England over other national origins (and) inheritance over hard work ... An Australian republic is a positive, democratic and inclusive patriotic step," Michael Cooney, national director of the Australian Republic Movement, told CNN. The monarchy has very little actual power in Australia -- Queen Elizabeth's role as head of state is almost entirely symbolic. The UK's final legislative authority over its former colony ended in 1986. But the UK royal family has taken pains to keep Australia in the Commonwealth. In the past decade, Queen Elizabeth, her son Prince Charles and her grandsons, Prince William and Prince Harry, have all visited multiple times. Australia isn't the only country to retain the UK monarch as head of state. New Zealand and Canada are among those still governed under a constitutional monarchy, rather than as a republic. 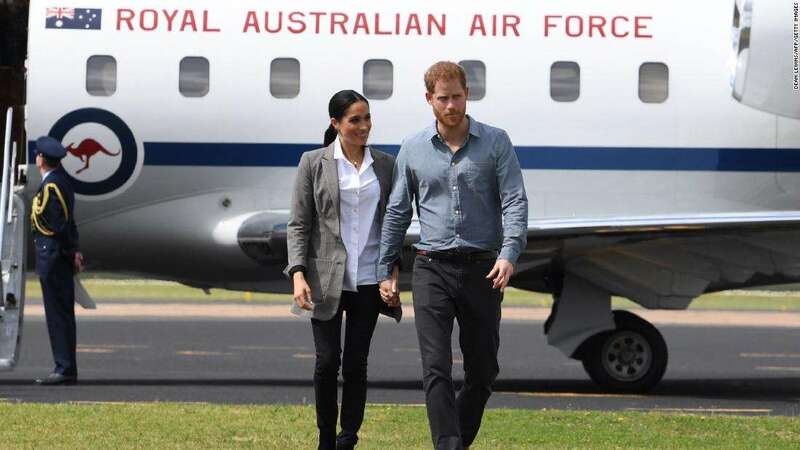 Jarrod Bleijie, a Queensland politician and member of the Australian Monarchist League, told CNN that though the UK was distant geographically there was still a great connection between the British royals and Australia. "People have grown up with Prince William and Harry. We feel like we know them because we see so much of them on TV ... The royal family have (always) been supportive and love Australia," he said. The feeling may not be reciprocated, however. A recent survey by Essential in May found 48% of Australians supported ditching the monarchy in favor of a republic. A separate Newspoll put the number even higher, at 51%. Royal visits don't seem to nudge public opinion one way or the other -- neither do royal weddings. Even the widely-covered union of Prince William and Kate Middleton in 2011 didn't budge republican sentiment. But Bleijie said he felt the royal family would be able to retain sufficient support. "It's a very modern monarchy," he said. The first time Australia voted on whether or not to become a republic, the result was an emphatic "no." In 1999, after years of campaigning by pro-republic politicians and groups, the country went to the polls on whether to change the constitution to remove the British monarch as its head of state. But squabbling inside the republican camp and disputes over how a new head of state should be elected damaged the 'yes' vote. In the end, almost 55% of the country voted against a republic. Australia has a high bar which any vote to change the constitution must pass. Not only must a majority of Australians vote for it, but a majority of the eight states and territories must approve it as well. Two decades after the result, however, Australian republicans are willing to try again. Opposition Labor Party leader Bill Shorten has pledged to hold a vote on whether Australia should break with the monarchy within his first term in office. Australians are expected to go to the polls early next year. "I'm confident Queen Elizabeth would farewell us with the same affection and good grace she has shown every time a Commonwealth nation has made the decision to cut its ties with the monarchy. We can vote for a republic and still respect Queen Elizabeth," he said in July 2017. In fact there have been rumors that the Queen is surprised that Australia hasn't yet become a republic, and is insulted by suggestions that the country should wait until she passes away. A new book by British author Robert Hardman, "Queen of the World," claims her view is that Australia should "get on with it." The book quotes an official as saying the palace view was: "You've got to name a date because we can't have this lingering 'deathwatch.'" There is one major factor working in themonarchists' favor as they attempt to keep Queen Elizabeth as head of state. With faith in politicians plumbing new lows, as Australia casts a weary eye at its sixth prime minister in a decade, the idea of stability in any form is likely to be appealing. "If we allow politicians to start picking presidents or voting for presidents, we're going to end up with the same instability we've seen at federal government level for the past 10 years," Bleijie said. "When you ask Australians, they don't want that." Either way, as Harry and Meghan wrap up the latest royal visit, it will be years before there is any chance of Australia severing its ties with Buckingham Palace. Even if the national vote proposed by Shorten, and backed by pro-republic advocates, was held by 2020 and returned a "yes" vote, a second official referendum would have to be held to make the constitutional change required. Cooney, the pro-republic advocate, said he believed Australia's dysfunctional national politics might work in favor of a republic. "Clearly we need to change something in Australian politics and society ... we need to be more democratic. People feel they are locked out of a lot of decisions," he said. "I think a republic is part of the response to that." 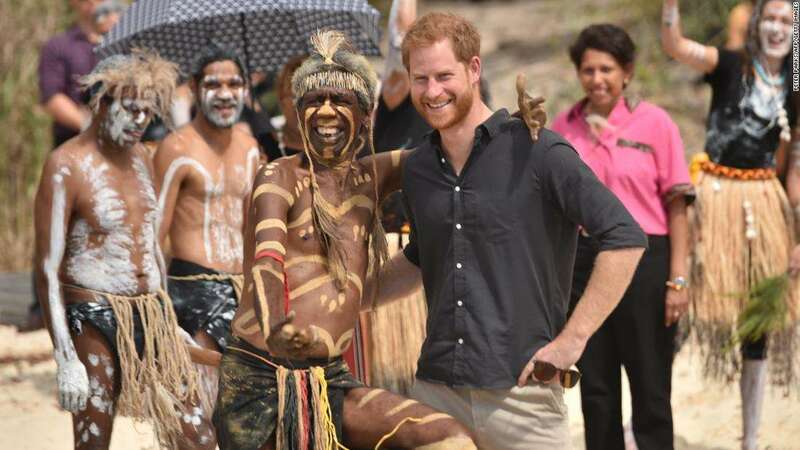 World - U.S. Daily News: Australia loves Prince Harry and Meghan, but is it time for a republic?